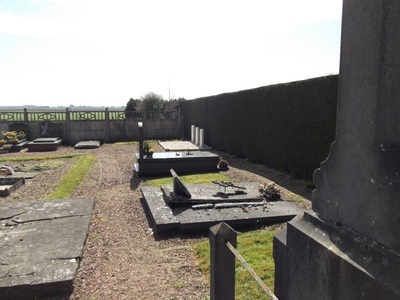 La Herlière is a village and commune in the Department of the Pas-de-Calais. 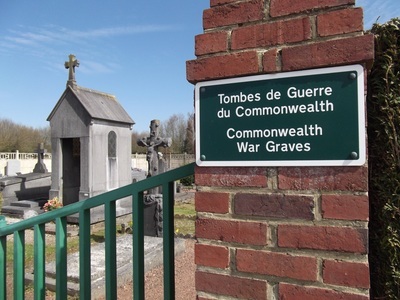 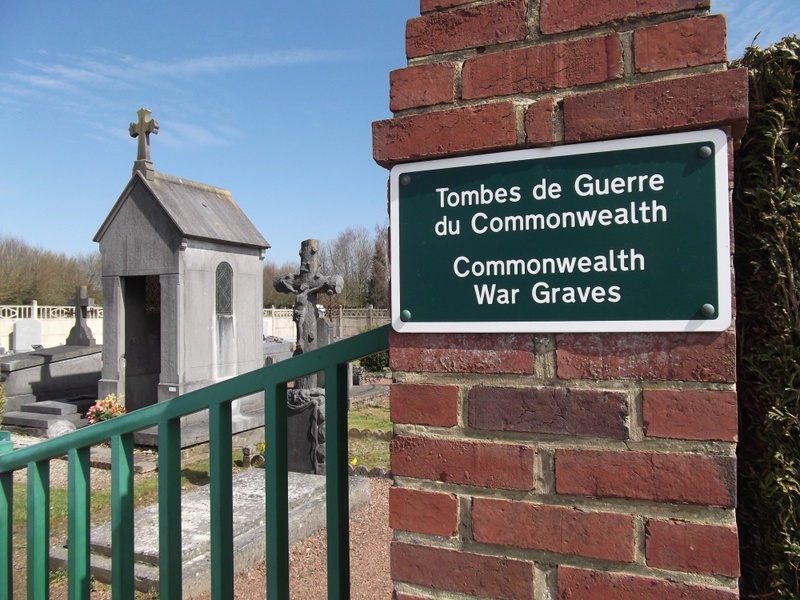 In the South-West corner of the Communal Cemetery are the graves of two British soldiers of the 1914-1918 War and one British soldier of the 1939-1945 War. 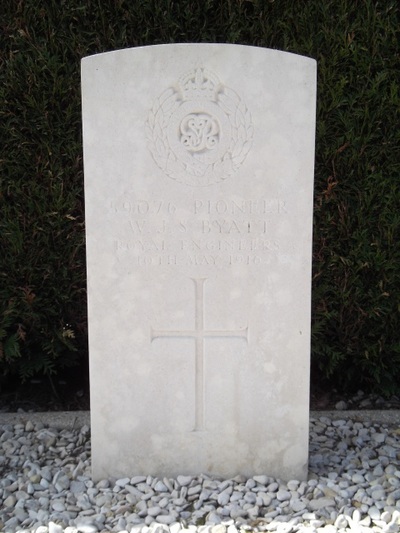 59076 Pioneer W. J. S. Byatt, 152nd Field Company, Royal Engineers, died 10th May 1916. 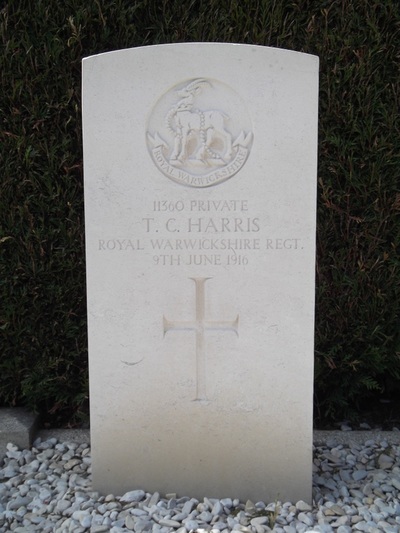 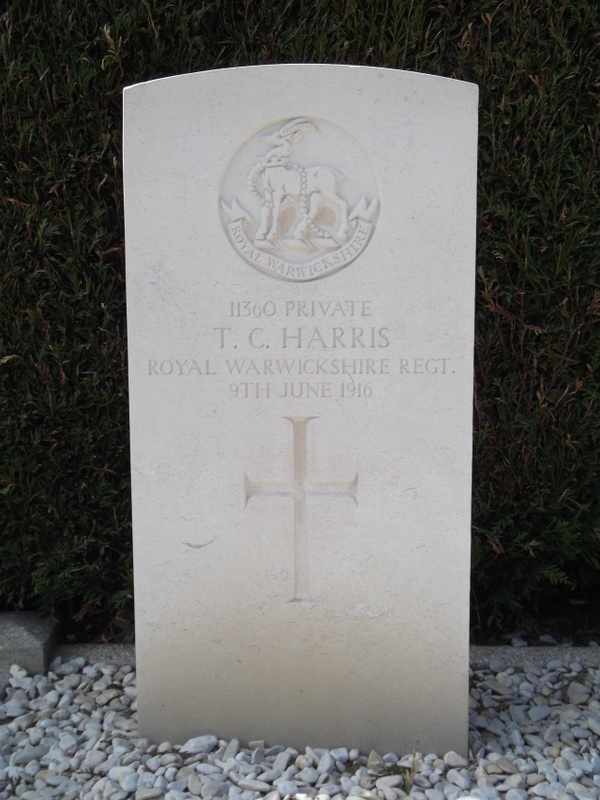 11360 Private T. C. Harris, 11th Bn., Warwickshire Regiment, died 9th June 1916. 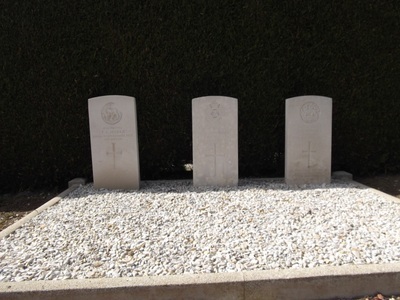 6584460 Private John Arthur Lungley, 5th Bn., The Buffs (Royal East Kent Regiment), died 20th May 1940, aged 34. Son of Samuel and Rosina. 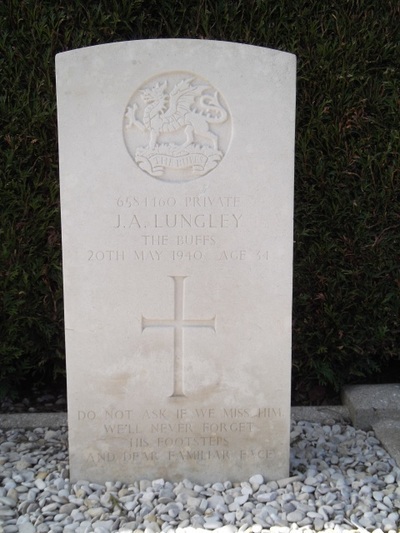 Marguerita Lungley, of Worthing, Sussex.